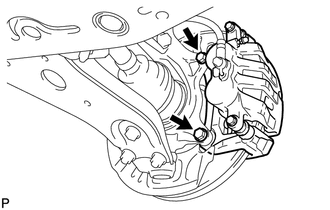 (a) Remove the bolt and resin clamp, and separate the front speed sensor. 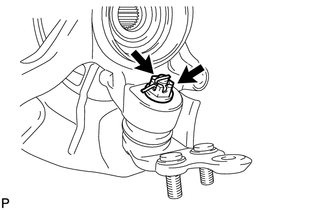 Be sure to completely separate the front speed sensor from the front shock absorber with coil spring. Be careful not to damage the front speed sensor. Clean the speed sensor installation hole and the surfaces every time the speed sensor is removed. (a) Put matchmarks on the front drive shaft assembly and front axle hub sub-assembly. (b) Using a plastic hammer, separate the front drive shaft assembly from the front axle assembly. 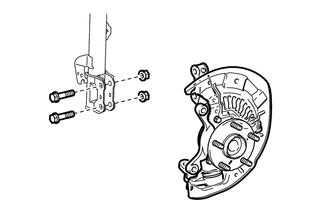 Loosen the staked part of the front axle hub nut completely, otherwise the threads of the drive shaft may be damaged. 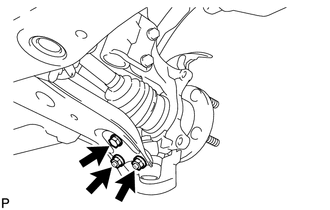 (a) Remove the 2 bolts and separate the front disc brake caliper assembly. 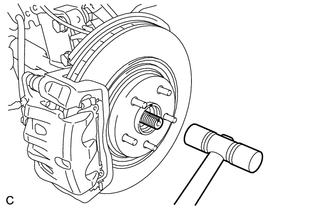 Use wire or an equivalent tool to keep the brake caliper from hanging down by the flexible hose. 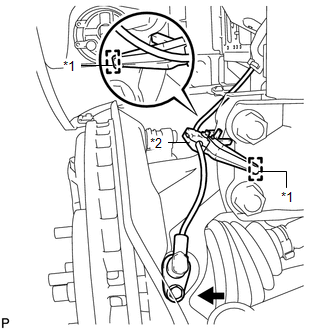 (a) Remove the bolt, 2 nuts, and separate the front lower suspension arm from the lower ball joint. 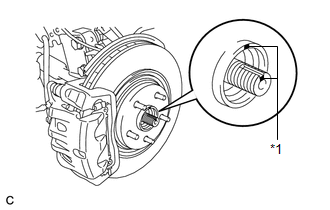 (a) Remove the 2 bolts, 2 nuts and front axle assembly. (a) Secure the front axle assembly in a vise using aluminum plates. (b) Remove the cotter pin and nut. 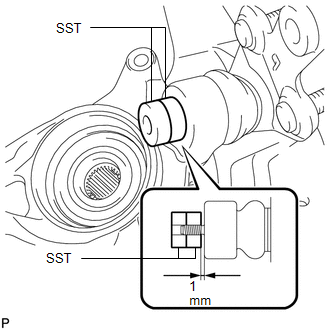 (c) Install SST to the front lower ball joint as shown in the illustration. Check that the clearance measurement between SST and the front axle assembly is 1 mm (0.0394 in.). 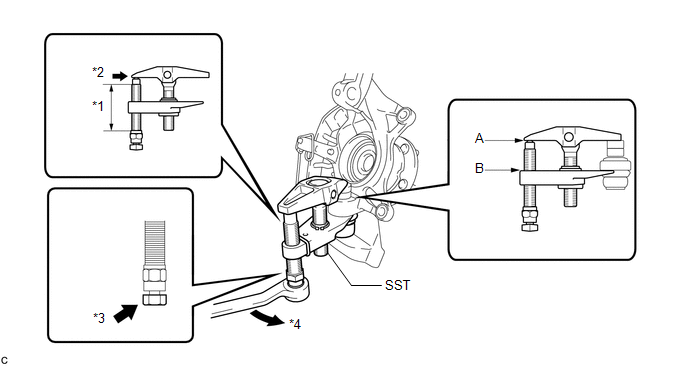 (d) Using SST, remove the front lower ball joint from the front axle assembly as shown in the illustration. 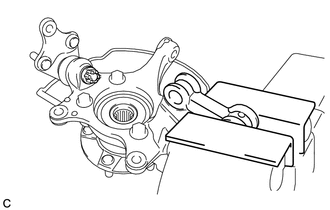 Do not damage the front lower ball joint dust cover, or steering knuckle.